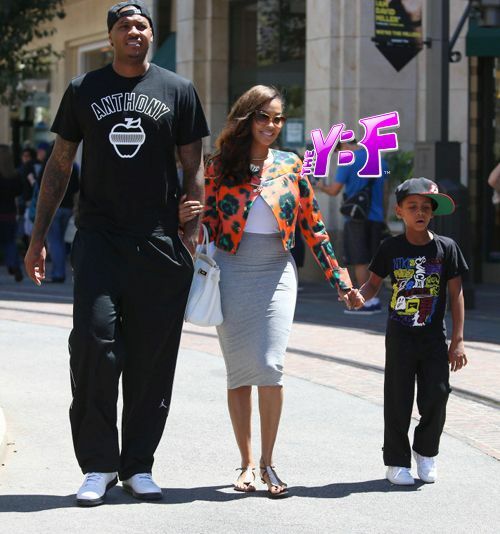 LaLa & Carmelo Anthony have been spotted…together…for the first time in a while. With La’s hectic career schedule and Carmelo fresh off a trip to China and ramping up his new clothing line (which he’s rocking), the two seem to have been leading separate lives. But they decided to skip out on the MTV VMAs and chill out with Kiyan back in L.A.
Pics of their family day at The grove inside…. Reality star LaLa, who just debuted her new clothing line 5th And Mercer, and her husband Carmelo seem to be getting back in the swing of coupledom. The twosome were spotted arm and arm with their 6-year-old son Kiyan shopping it up at The Grove this weekend. Putting all those marriage-on-the-rocks rumors at bay….for now. 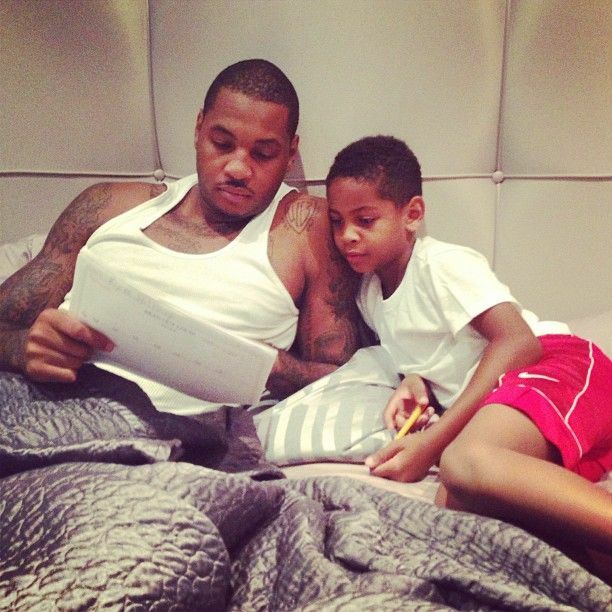 Damn near makes your ovaries melt seeing a daddy-son pic like this. Sigh. Print article This entry was posted by hhcblog on August 26, 2013 at 12:49 pm, and is filed under Uncategorized. Follow any responses to this post through RSS 2.0. You can skip to the end and leave a response. Pinging is currently not allowed.